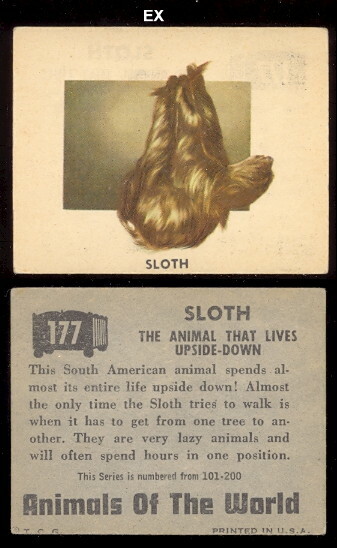 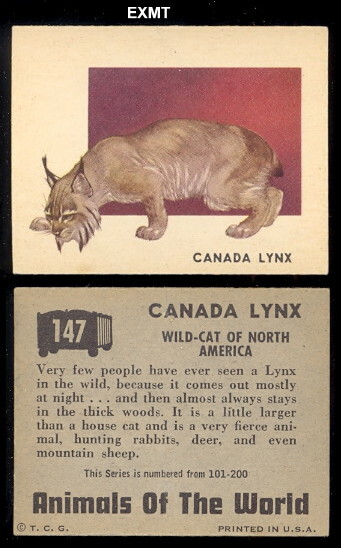 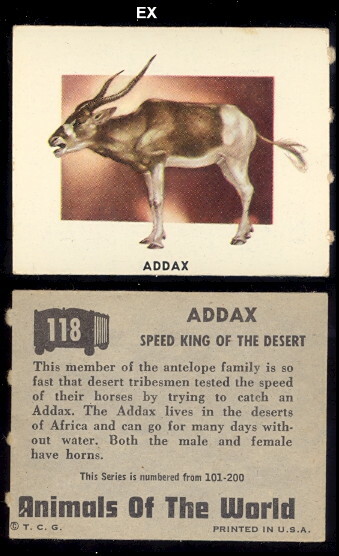 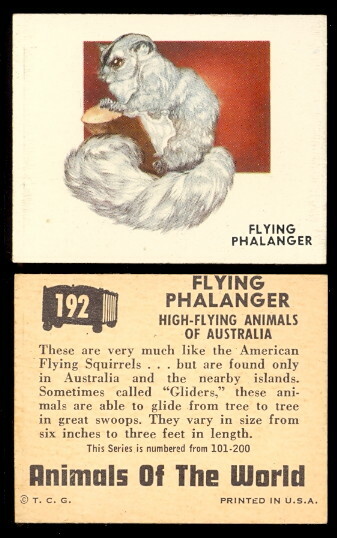 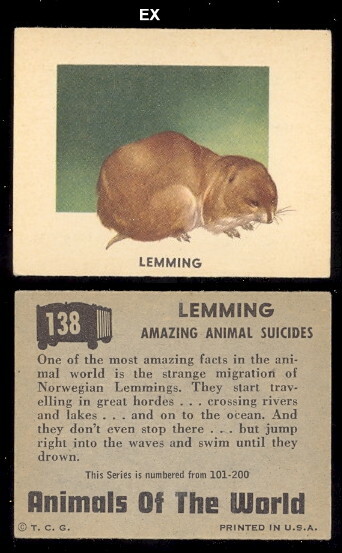 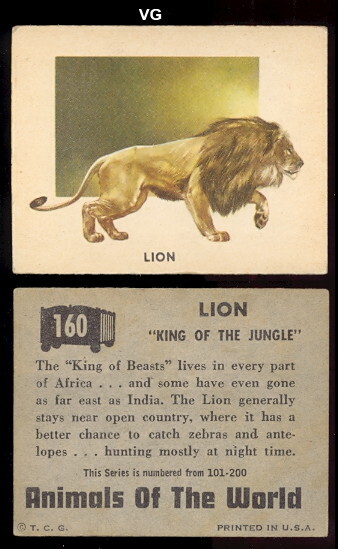 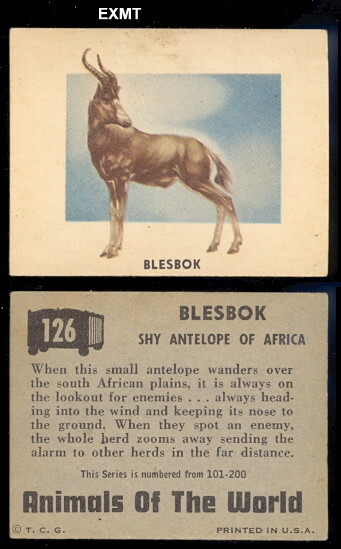 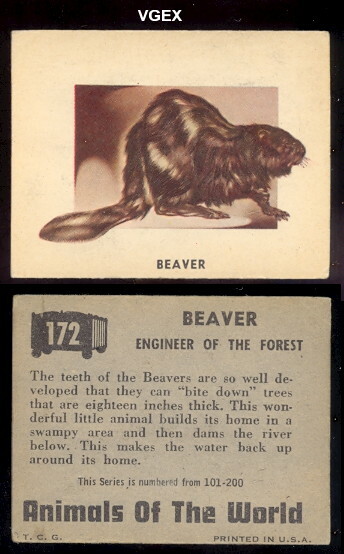 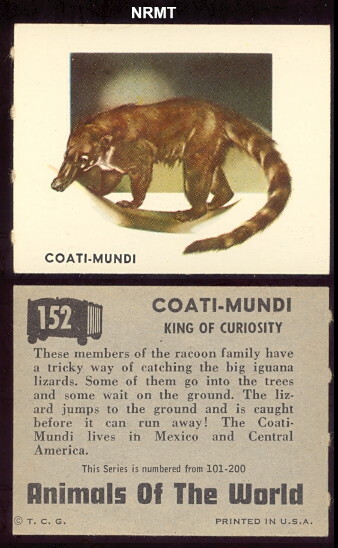 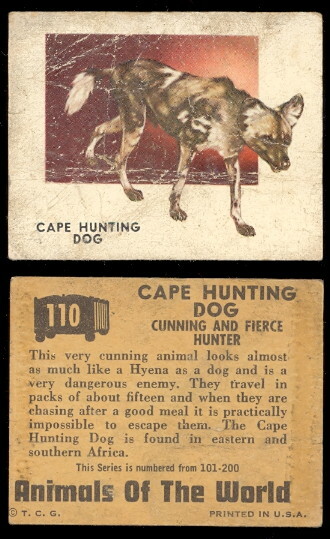 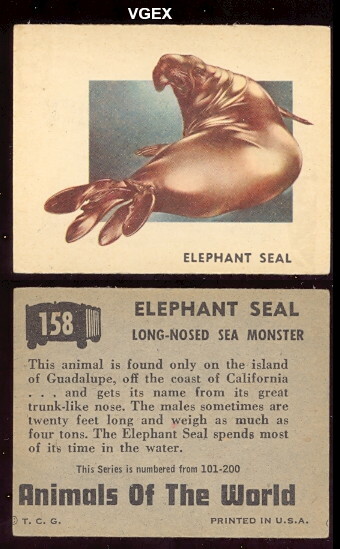 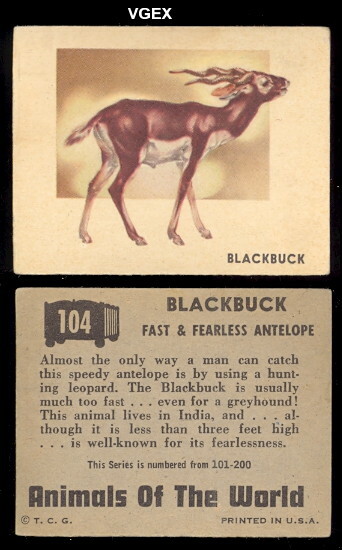 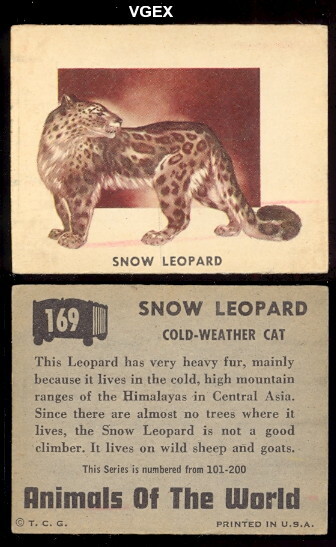 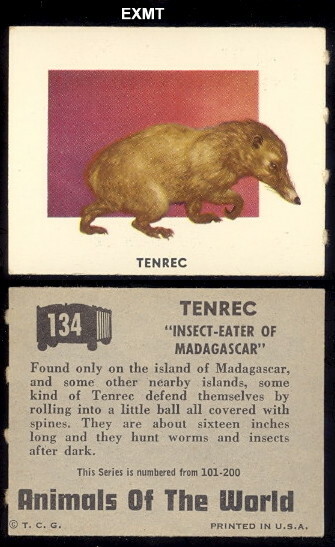 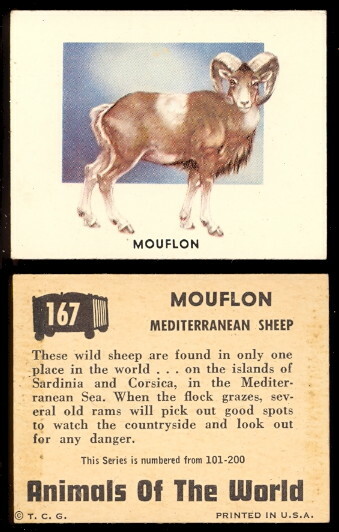 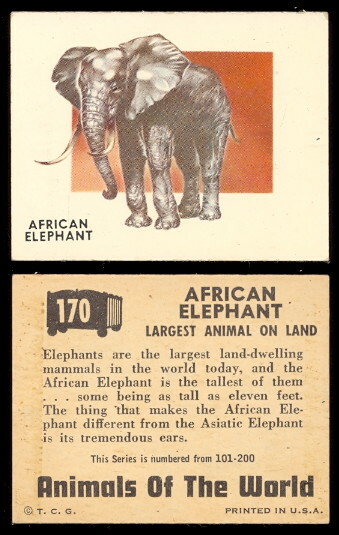 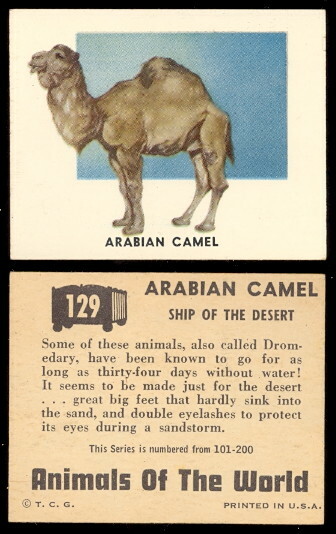 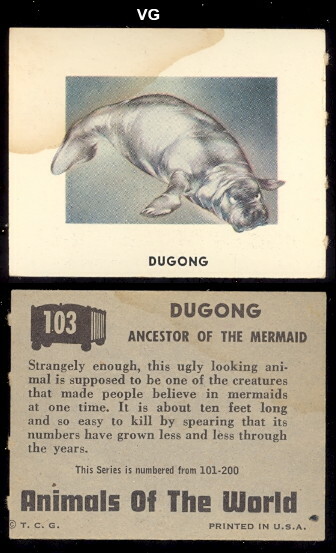 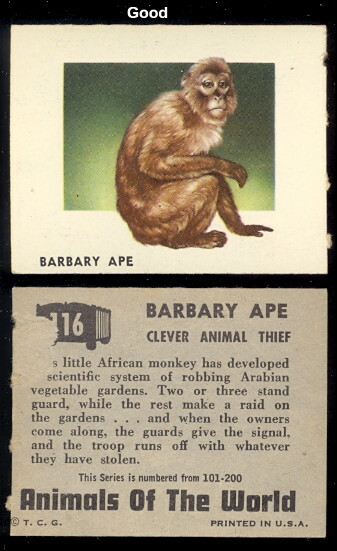 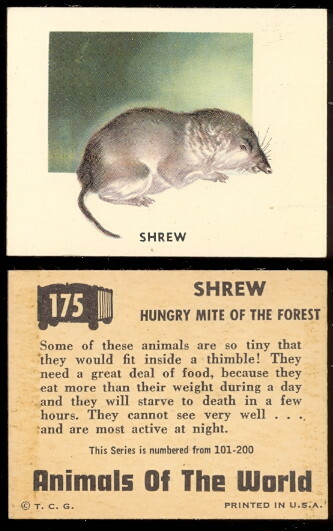 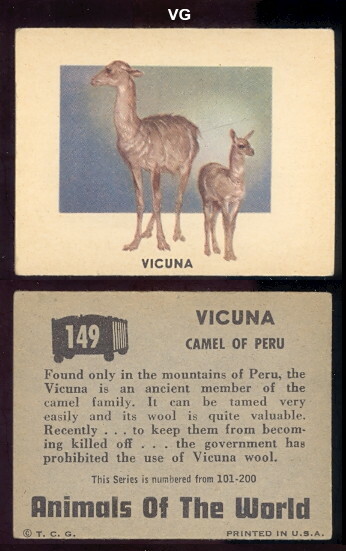 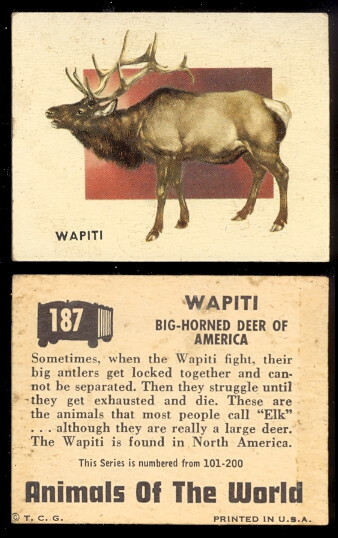 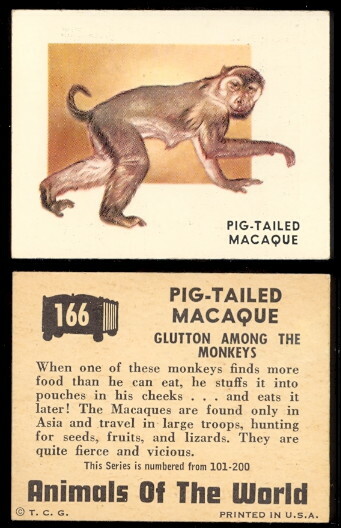 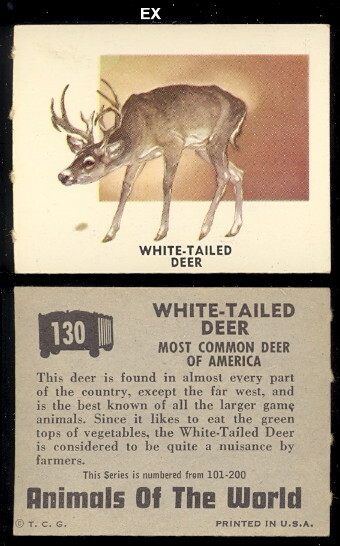 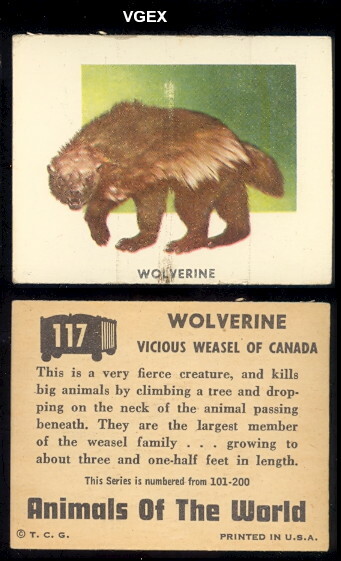 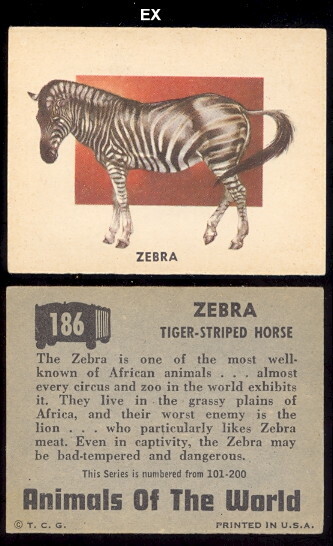 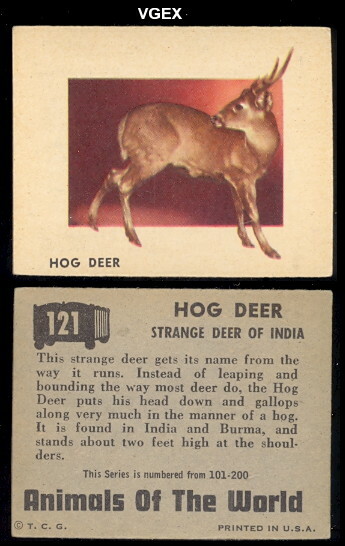 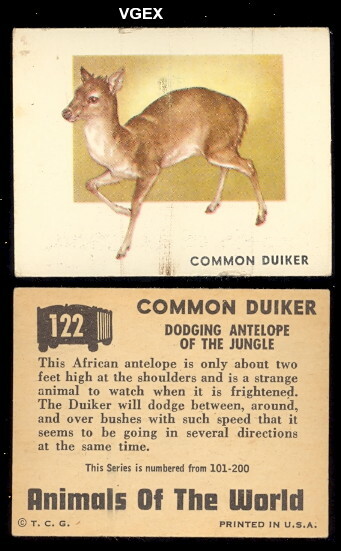 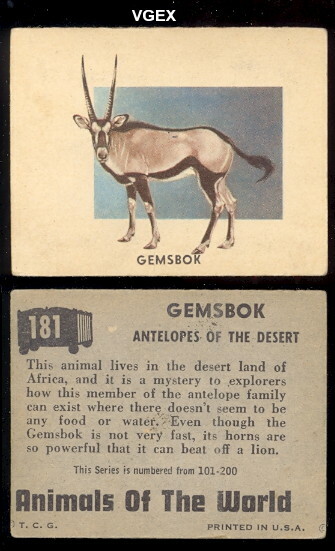 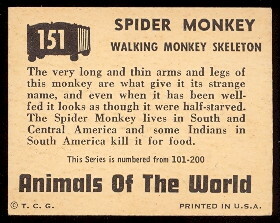 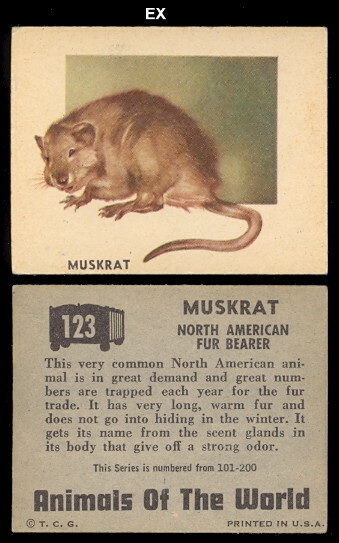 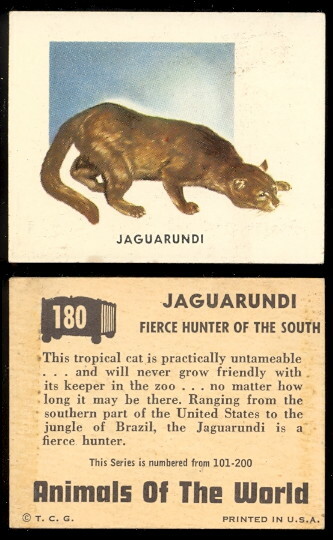 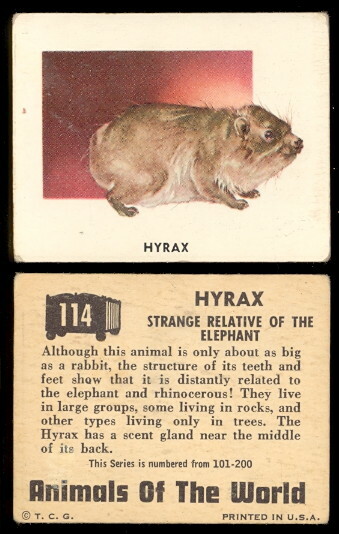 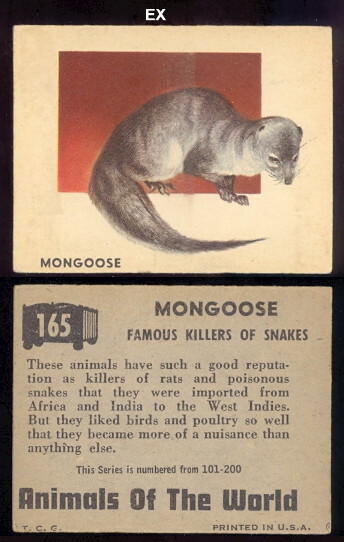 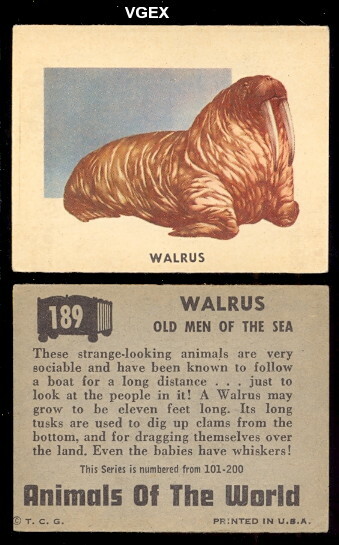 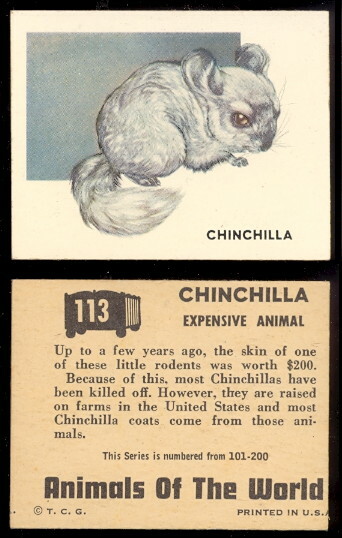 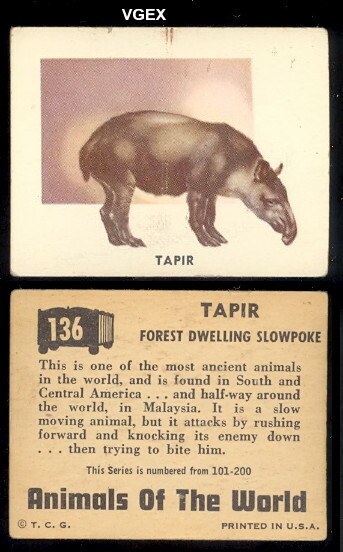 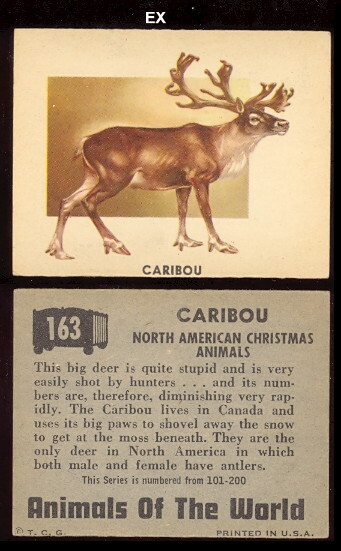 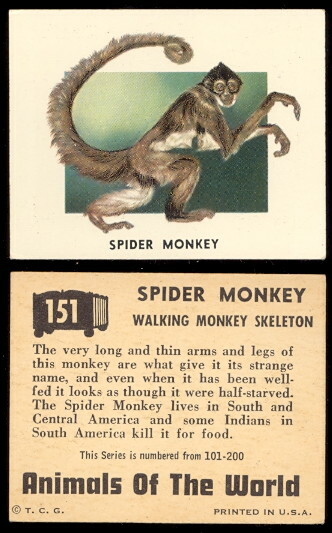 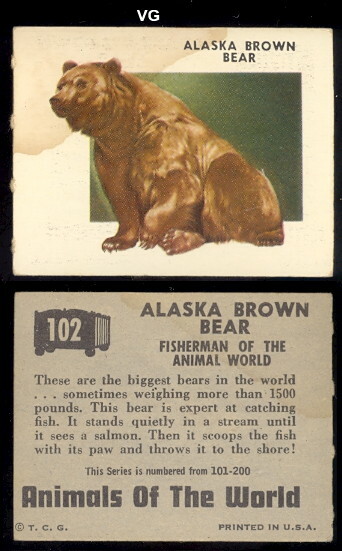 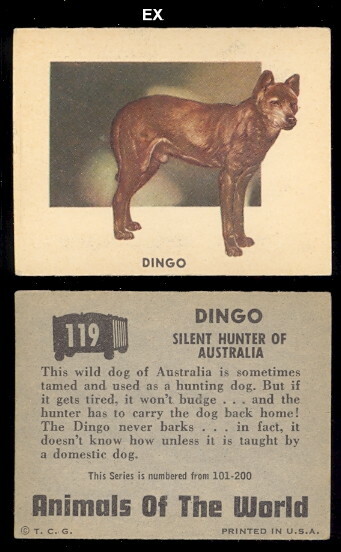 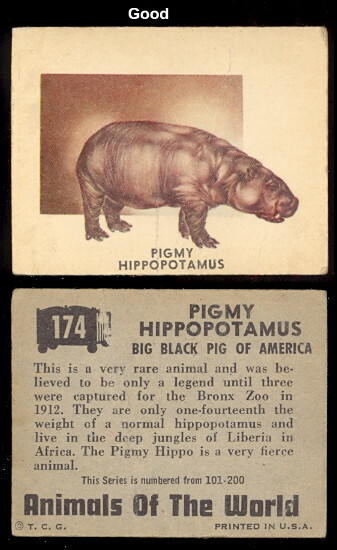 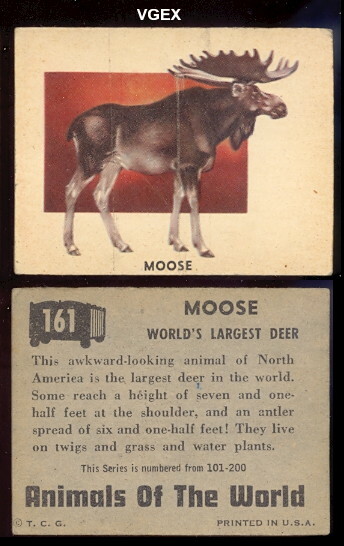 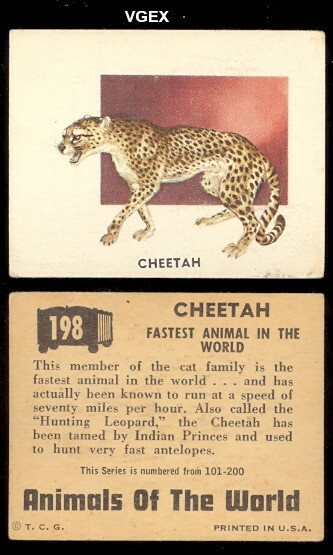 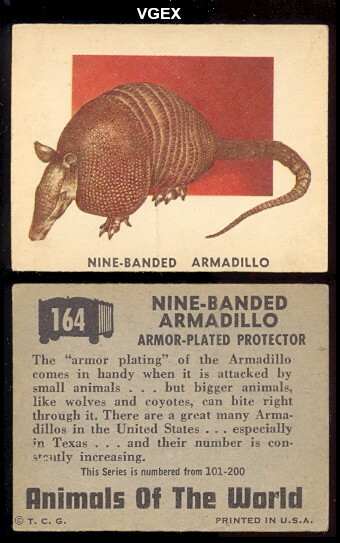 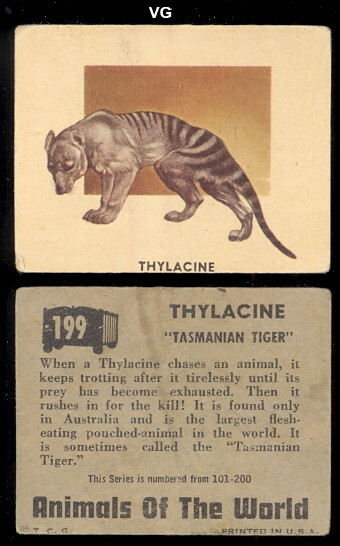 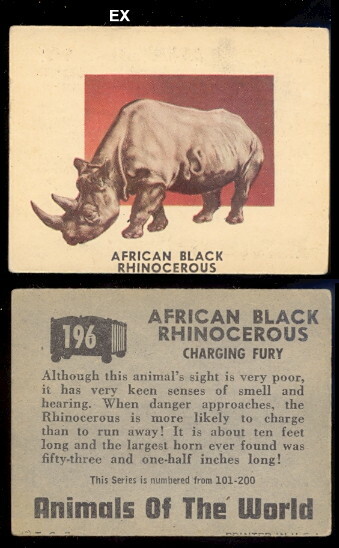 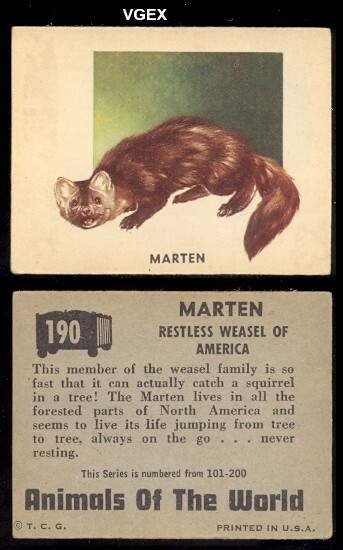 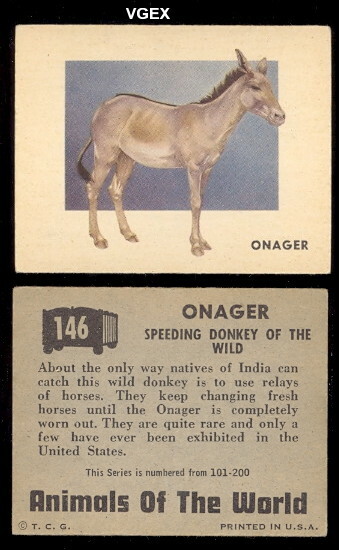 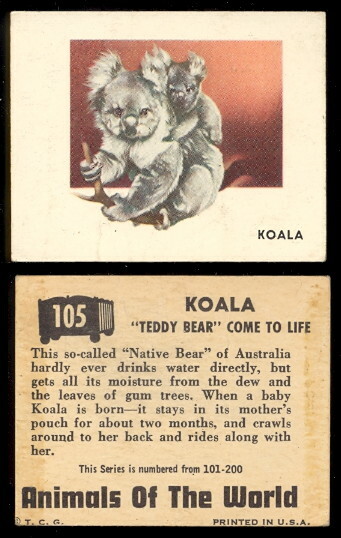 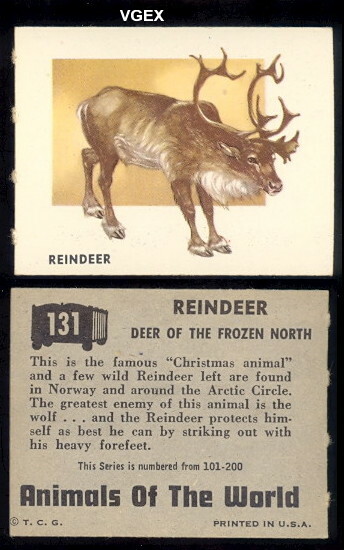 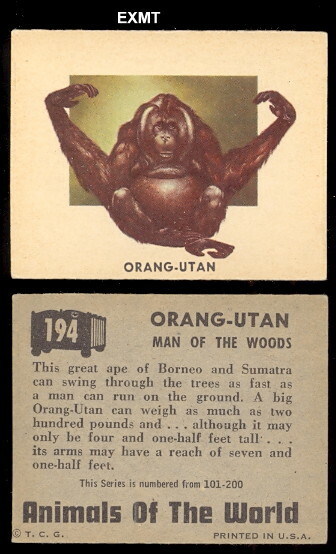 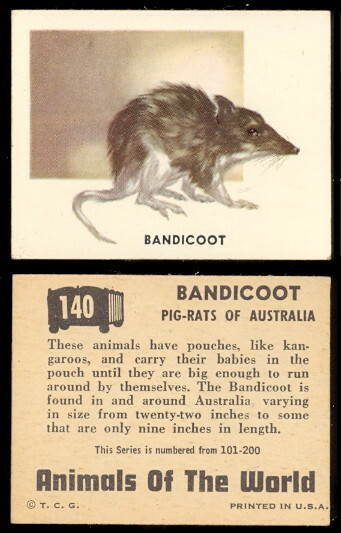 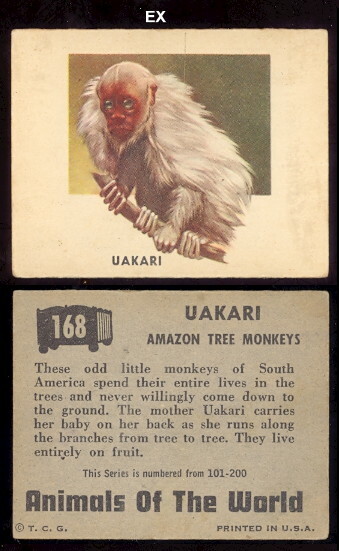 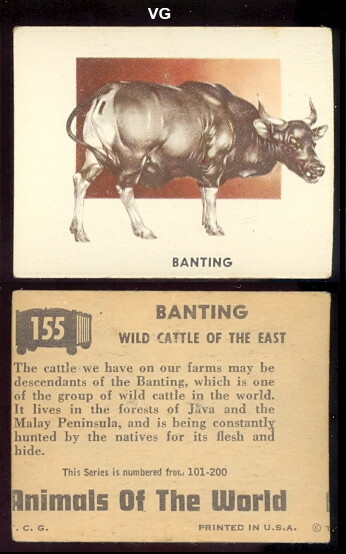 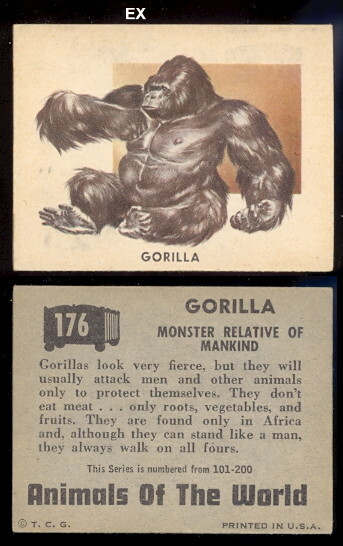 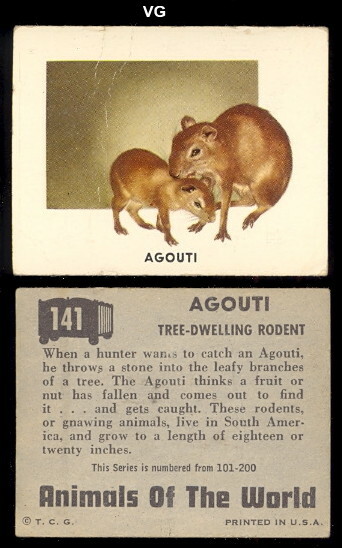 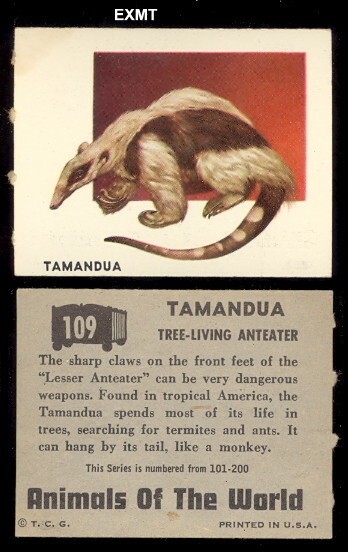 The 1951 Topps Animals of the World cards were a follow-up set to the 1950 Topps Frank Buck Bring Em Back Alive. 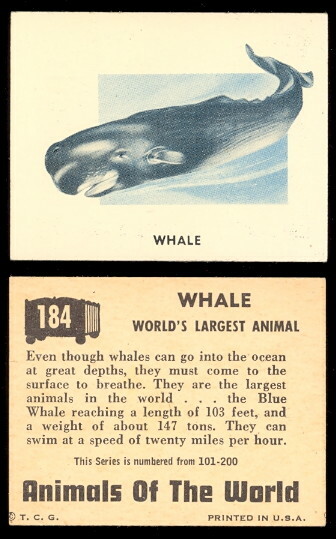 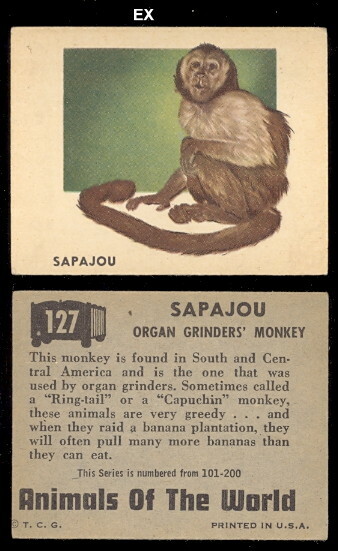 The cards are numbered 101 to 200 and show color drawings of different Animals from around the world. 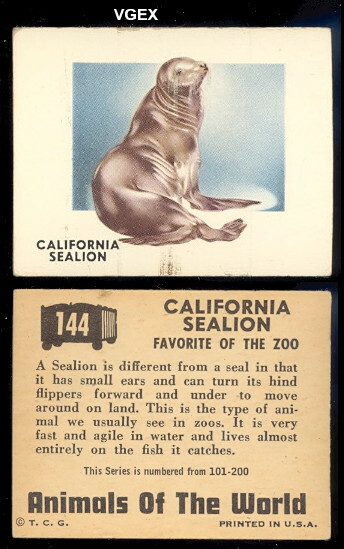 The backs have card numbers and information about the different animals. 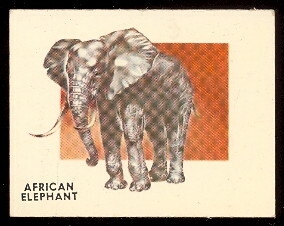 The artwork was done by Mary Lee Baker. 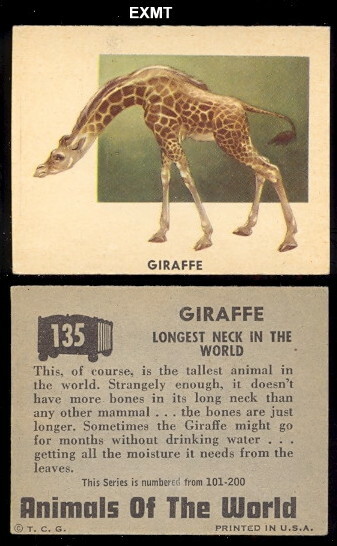 The set contains 100 cards and the cards measure 2-5/8" by 2-1/8".